“The big daddy” of business network infrastructure, bloodstream for all data you send and receive thru business network, his majesty - SERVER. The most valuable and the most important piece of equipment in the whole IT ecosystem. Built to diligently work 24/7 even when desktops, printers, and other IT equipment sleeps. Being so precious, server deserves some tender loving care. Being a small business as well, we treat every client the same way, despite the number of servers. Server support plans are suited for small and medium-sized companies and their budget. We offer limited monthly server support from $199 per seat, and unlimited monthly plan for $299. Do the math and compare our prices with average salary and benefits of an “in-house” server administrator per year. It’s obvious that this is a win-win situation. You’ll get full-time IT staff, based here in San Diego, taking care of your servers without paying a full salary. But that’s just the beginning. There are more benefits to come. We praise ourselves being in official partnership with major server and network equipment manufacturers. We are a certified vendor for Microsoft, Dell, Cisco, VMWare and Lenovo products. This guarantee our clients best available prices for server and equipment around the server – routers, modems, WIFI modems and switches. Now wrap this up with strongest server anti-virus and malware protection from Bitdefender. Yep, we are an official partner as well. Server support service along with server and equipment at affordable prices are pretty good to start with, don’t you think? If you are not sure which plan to choose, call us to get FREE server assessment from our consulting team or contact us by the form below. 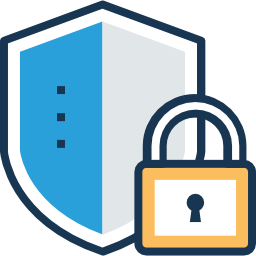 Secure Networks helped us to migrate to a new server and are very helpful with any projects or questions we have. Their support is fast and very friendly. Choosing the right server for your business is “mission impossible” if you are not an IT expert. We listen to your business and IT requirements and focus to deliver an optimal solution. 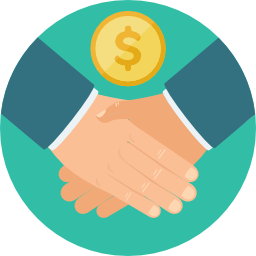 Our consulting team and sales department will create an offer for a scalable, reliable, and finally, simplified server environment – not breaking your budget. Having a dedicated team of certified network consultants, with vast experience that keep an eye on your small business server let you focus on your primary business goals and management. We, on the other hand, will deploy a server with right capacity, speed, security, data flow, memory, maintenance, and monitoring. Forget about performance issues, server downtimes and other anomalies. We’ll help you decide on a server configuration based on our custom consulting approach and your budget. After you have decided about server configuration, we take over. Our team will ship the server to your location and do everything that is necessary to start the server for the first time and make sure it works without difficulties. Certified technicians will prepare the server room along with server racks, wireless and wired installation. 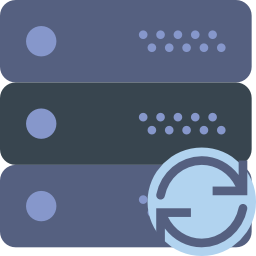 After the initial server setup, our heavily knowledgeable engineers will remotely configure the active directory for your new server and put it in action. Setting up a new server is just a start. After a while, you will need to do some regular maintenance. Don’t worry, we cover that as well. Is anything more important but having a secured business server? No! Virus and malware free servers are crucial to protect not just the sensitive data, but all data coming thru your business network; emails, invoices, daily plans and routes, sales data, customer records, not to mention other important documents. Because of often attacks by hackers, terrorist acts and usual spam and malware exploits senior network team developed a special package to protect your IT assets and business. Server security service is implemented using different strategies and security measures. Combining a multi-level backup, along with a sophisticated anti-spam softwareyou can be sure that your server is in good hands. You know that server has a major role in IT system. That's why consistent monitoring is a must. 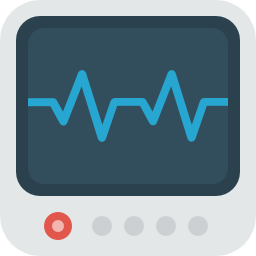 Proactive server monitoring is an easy way to track server, network health data, performance metric, analyze real-time and history server statistic. This way you, or better say we as your dedicated team, are in control of your server 24/7/365. 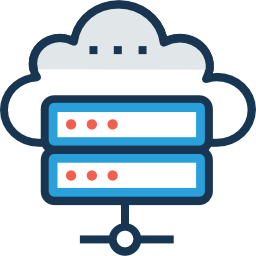 Our remote server management and monitoring stand for all server types - virtual, cloud and dedicated. Regular preventive maintenance is crucial for your small business no matter if you have just one or dozen servers. 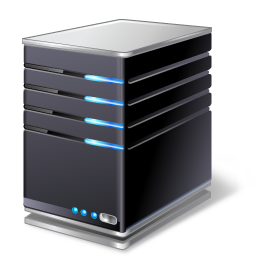 Server maintenance consists of regular server updates, patch installations, and diagnostics. Scheduled maintenance with updates will increase server average lifespan and keep the server running efficiently. Since you are running a small or medium-sized company you don’t need an in-house administrator or 24/7 server attention. So, it is perfect time for us to step in. Our certified network administrators will create server maintenance plan according to your server assets and network infrastructure. Some tasks from the plan are done remotely, but some of them require on-site server maintenance like cleaning server from dust and checking air flow. Moving data along with server roles, from one server to another is called server migration. Server migration is an extremely complex operation that requires time, careful planning and execution. Replacing your businesses server after a failure is always more expensive than a planned replacement or upgrade. Data loss and server downtime is a frustrating experience for your clients and employees as well. With emphasis on testing, maintenance, and communication with team members there is nothing to worry about. Experience, good preparation and testing, play a big role in making server migration without data loss a lot easier. Our engineers have years of experience and will make the preparations necessary to move your data to its new home, migrate data and do the synchronization and IP swap. Of course, testing is the final touch that and shouldn’t be avoided under any circumstances. Server migration service covers the vast majority of servers and configurations, but if you have a custom setup, please contact us below so we can evaluate the situation and make a proposal. Every business, no matter how small, relies on IT. Unplanned incidents that can bring your information technology system to devastation sometimes can’t be avoided. Unfortunately, natural disasters like fire or the flood can disrupt your whole IT system in seconds. What about human factors like terrorism and theft? Or even hardware technical failures. They are not rare too. Aware of the importance of IT in modern business we developed server disaster recovery plan that can be integrated into your company’s main IT disaster recovery planning (DR). This plan defines all major steps and objectives in a case of disaster, roles, procedures, policy statements and responsibilities that will result in full recovery and business continuity. As you can imagine most important in server and storage part of the plan is server backup.